The Children's Zoo allows children to role-play petting and feeding animals at the zoo. 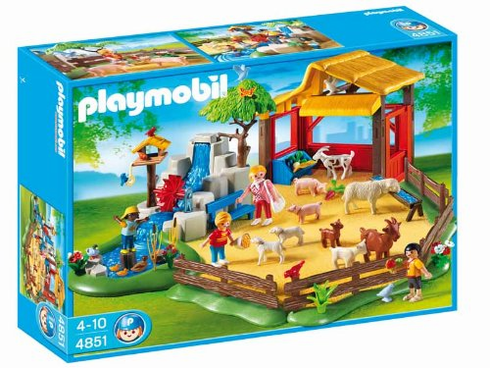 This set includes four figures, piglets, goats, sheep, and lamb. Also comes with fences for the animal enclosure, rock formation with water fall, birdfeeder, and many other accessories.